Mongolia, the land of Genghis Khan and nomadic herders, is in the midst of a remarkable transition. Rich in coal, gold and copper, this country of fewer than 3 million people in Central Asia is riding a mineral boom that is expected to more than double its GDP within a decade. The rapid changes simultaneously excite and unnerve many Mongolians, who hope mining can help pull many out of poverty, but worry it will ravage the environment and further erode the nation’s distinctive, nomadic identity. The Central Asian nation of Mongolia has untold riches in copper, coal and gold, which could help many of its nearly 3 million people — more than one-third of whom live in poverty. 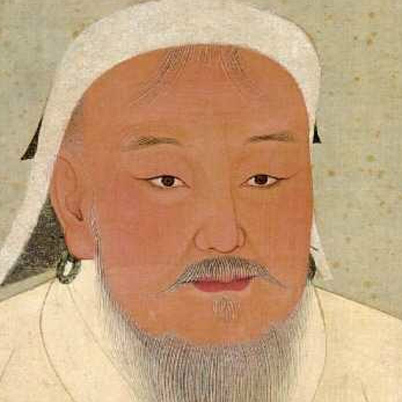 But mining is also reshaping Mongolia’s landscape and nomadic culture. Camel and goat herders worry that new mega-mines will siphon off precious water in an area that’s already suffering from the effects of climate change. Mijiddorj Ayur, whose livestock graze near the Oyu Tolgoi mine, tends camels in a stretch of Mongolia’s South Gobi province that’s a moonscape of sand and gravel. He relies on the animals for meat, wool and milk, and they rely on hand-pumped well water to survive. “When we come to the well, we can see the level of the well water is 8 inches lower than it used to be,” says Mijiddorj, 76, who wears a golden, double-breasted robe called a deel and a brimmed felt hat. Mijiddorj — Mongolians typically go by one name — says the well water has dropped in the last several years because of lower rainfall, while the grasslands are shrinking because of rising temperatures from climate change. Now, he sees another potential threat: Oyu Tolgoi, a giant mine that will need huge amounts of water to process copper ore. The company has already drilled test wells near where Mijiddorj’s camels drink. My greatest fear is we won’t have water. I don’t care about the gold or the copper, I’m just afraid there won’t be water. It’s a worry echoing across South Gobi province, a mix of rocky desert and grassland where drought periodically wipes out herds. It’s home to thousands of herders and about a million head of livestock. Officials from Oyu Tolgoi, which has been under construction since mid-2010, say the mine will draw water from a deep aquifer that won’t affect wells like Mijiddorj’s. But he and other herders are suspicious. They have already felt mining’s impact. Herders say mine trucks hit their animals and kick up dust that chokes pastureland. Indeed, almost all the roads in the area are dirt, and trucks trail plumes of dust so huge they look like they’re on fire. A herder named Chuluunbaatar says he’s lost about 40 percent of the pastureland he uses, as well as many sheep, goats and camels, since Oyu Tolgoi built a nearby road a year and a half ago. 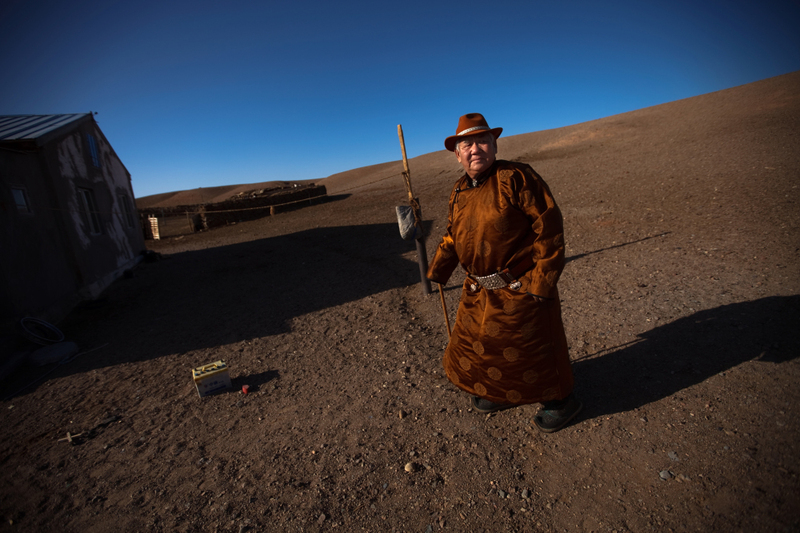 EnlargeJohn W. Poole/NPRHerder Mijiddorj Ayur, 76, stands outside his home in South Gobi, Mongolia. He worries about the effects a local mine will have on his livelihood. “Some of them died, because they were exhausted because there was not enough pasture,” he says. He adds that he had to kill some dying animals and sell their meat in order to salvage some of their value. 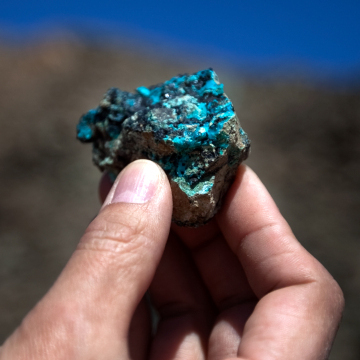 Oyu Tolgoi — which means “Turquoise Hill” in Mongolian, a name that refers to the color copper turns when it’s exposed to oxygen — is owned by global mining giant Rio Tinto and Canada’s Ivanhoe Mines, as well as the Mongolian government. The mine has offered herders compensation, including simple jobs helping livestock cross roads, in a country where per capita GDP is about $2,500, according to the Mongolia government. Many herders have signed compensation agreements, but Myagmardorj Mijiddorj, a local government official, says some herders already working for the company complain of coercion. The biggest risk we face is that we will be seen to be a land of plenty in a sea of stress. In other words, Myagmardorj says, they’ll be out of a job. “We never forced them to sign the agreement,” says Suugie Gonchigjantsan, who manages community relations for Oyu Tolgoi. She denies that the company has pressured anyone and says the complaints are just a negotiating tactic. “Some of the individuals really want to get more, more and more,” Suugie says. The company’s compensation scheme is modest. One option, for instance, would provide an affected family with a $3,800 scholarship to put a child through college. In its first full year of operation, Oyu Tolgoi could produce about $900 million worth of gold and copper, according to company statistics. So, why not give herders more money and quiet them down? Mark Newby, Oyu Tolgoi’s principal adviser for water resources, says the company has monitored more than 100 herder wells in the area for years. He says Oyu Tolgoi has found no connection between the herder wells, which go down as far as 30 feet, and the aquifer the mine will draw from, which begins about 150 feet below the surface. At full capacity, the mine will pump about 180 gallons per second from the aquifer. If herders’ wells are affected — which Newby says he seriously doubts — Oyu Tolgoi says it will fix the problem. Newby says a bigger challenge may be managing perceptions and helping herders already struggling for water. “The biggest risk we face is that we will be seen to be a land of plenty in a sea of stress,” he says. Once a wetland — one of the very few in the Gobi — this area has been drying up over the past several years, thanks to rising temperatures and lower rainfall. Competition for water continues to grow across South Gobi province, which is about the size of Wisconsin. Outside the provincial capital of Dalanzadgad, local officials are at odds with Mongolia’s central government and a nearby coal mine. Two years ago, local officials designated a nearby seasonal lake as a protected area. Last year, the central government reversed the decision and said the coal mine could pump out water underneath the lake. “That is the only fresh water source of this whole area,” says Munkhjargal Batdorj, a local official. Munkhjargal says the central government has a stake in the mine — which like Oyu Tolgoi also has foreign ownership — and appears to be pursuing its own interests. Mining contributes heavily to both local and central government budgets, and residents complain that officials sometimes use the money to enrich themselves. Rashboud Tumen, a grocer in Dalanzadgad, cites one local representative in particular. He says the official had a Russian jeep and traded it in for a Toyota Land Cruiser 80. Then, a few months later, he traded that in for a Land Cruiser 105 — which an incredulous Rashboud notes costs $53,000. 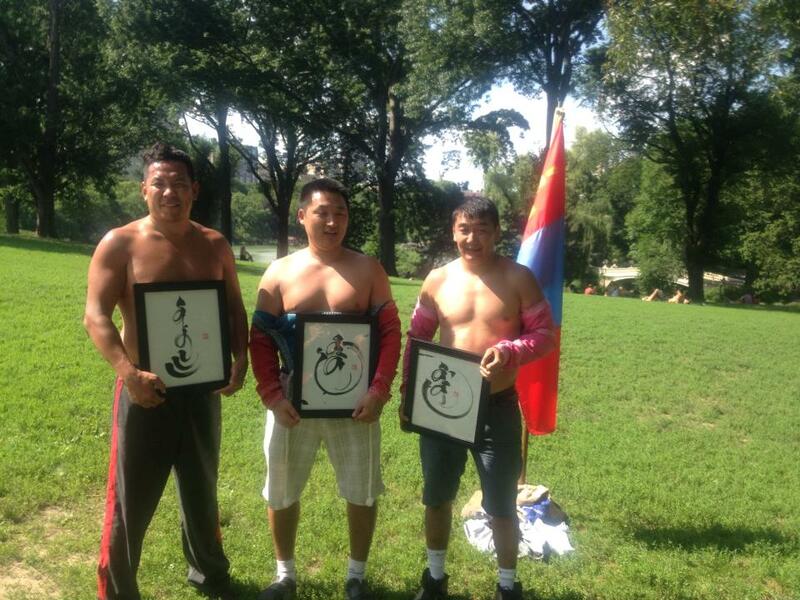 More than 30 percent of Mongolians live on $1.25 a day. As mines begin to pump more water from the Gobi, herders will be watching their wells and waiting. And as profits continue to pour into mineral companies, some Mongolians will continue to wonder what is in it for them.